Update: I have posted up two new versions of the wallpaper for those running MacBook Air or similar laptops with either 1366×768 or 1440×900 screen resolutions. 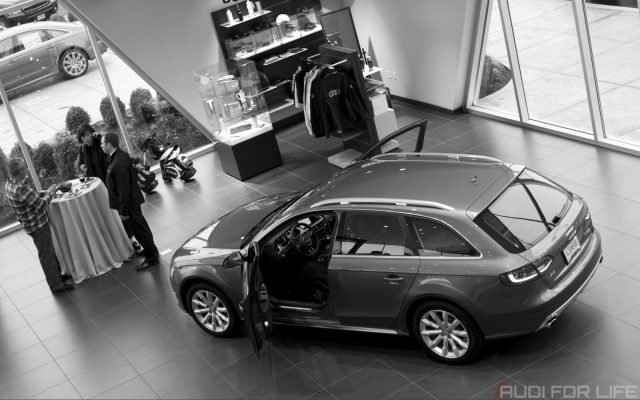 On 30 March 2012, I went to an A4 allroad quattro event held at Audi Wilsonville with a Leica M9 and a Summicron-M 50mm f/2 in hand. I was there to admire the various Audi vehicles that were on display, to mingle about and to take pictures. 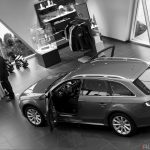 I made use of both the showroom ground floor and the upper level to take various pictures of the two Euro-spec A4 allroad quattro vehicles on display. 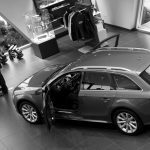 There were several other great Audi vehicles on display in the service drive, service bay and parked outside. After the event, I spent a fair amount of time pouring through all of the files and putting them through my usual workflow. There was one picture that stood out as my absolute favorite among many other favorite pictures taken with my Leica. After posting it on several sites (including Flickr), I have finally gotten a chance to go back and make desktop wallpapers from that picture. I have nipped and tucked the desktop wallpapers to make them perfectly sized for five common widescreen resolutions. For screens with an aspect ratio of 16:10, I have made three versions available: 1440×900, 1680×1050 and 1920×1200. For the more common screens with an aspect ratio of 16:9, I have created two versions: 1366×768 and 1920×1080. Just right-click on the version that you want to download and select “Save Link As…”. I have opted to pass on creating a version for non-widescreen displays as that would have altered the framing too much. 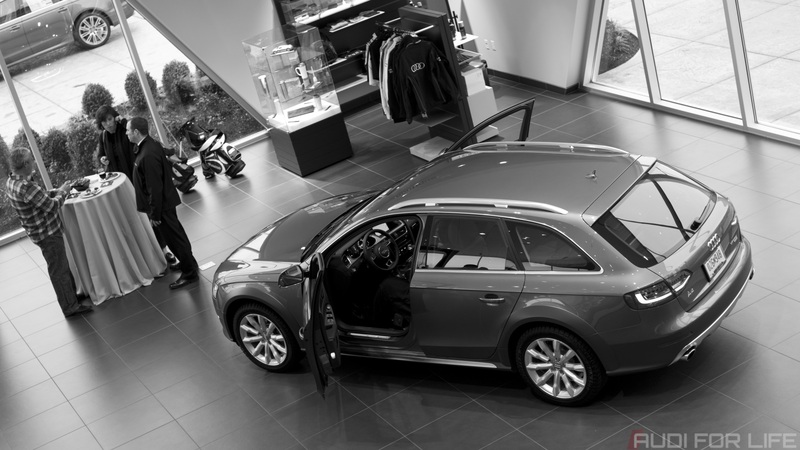 My thanks go out to Audi Wilsonville and Scott Mitchell for allowing me to roam around and take pictures.